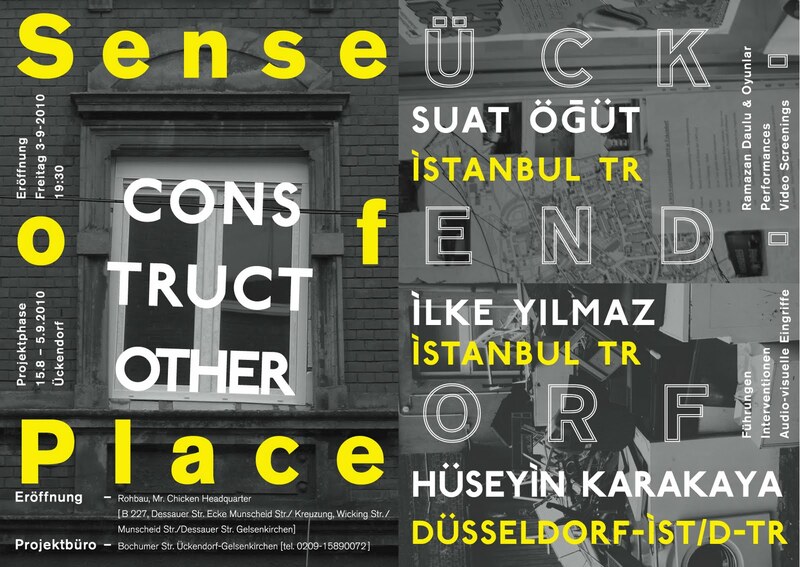 The theory of landscape or urban movements defines the binding or identification with a place as "Sense of Place". 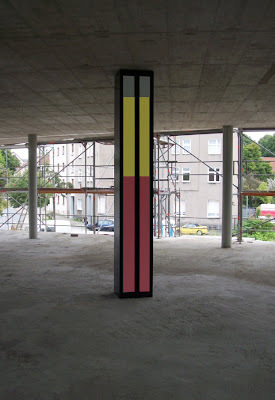 In this project, Gelsenkirchen will become an exemplary laboratory, focusing on ethnic groups. Models of construction like place, space and economic power, phenomena of the global market, and their consequences will be examined. 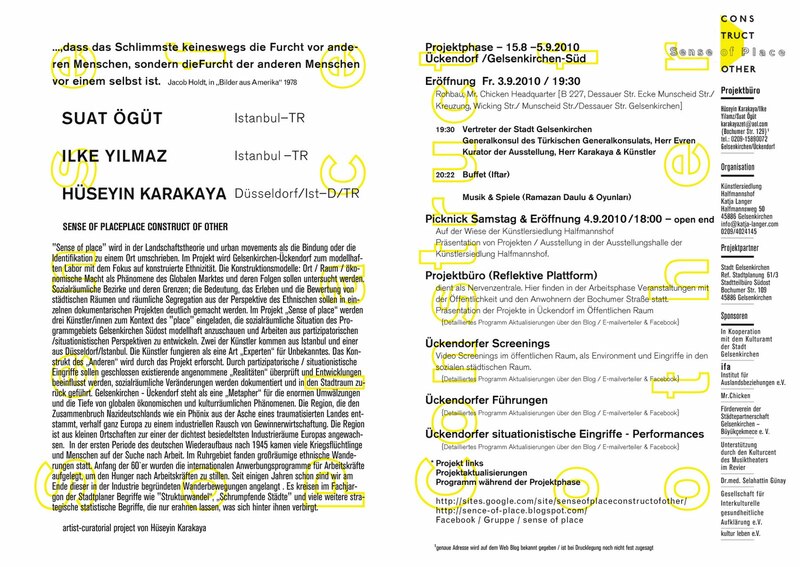 Individual documentary projects will visualise sociospatial areas and their borders, the meaning, experiencing and valuing of urban space as well as physical segregation from the perspective of economic migrants and their children. 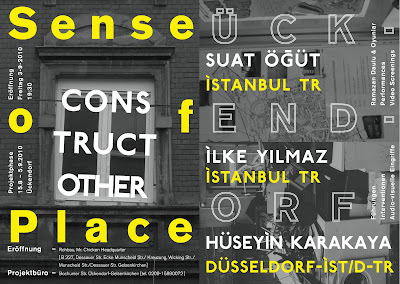 The project "Sense of Place" invites four artists with a migrant background to look at the sociospatial situation of the area of the programme and to develop work from a participatory and situationist angle. 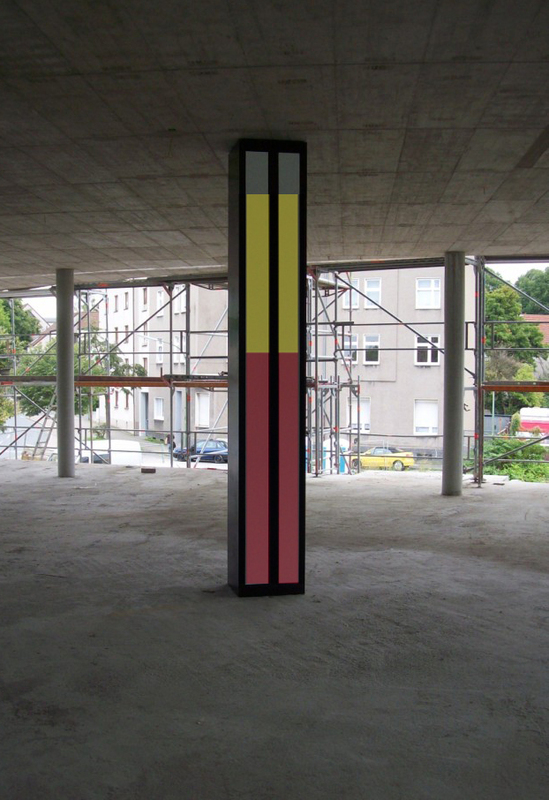 Two of the artists come from Istanbul, the other two are based in Germany with a migrant background. The artists act as experts on the basis of their own experience. They look at the city from an outside perspective, being at the same time personally affected. 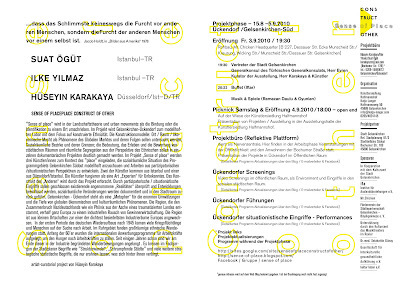 The work developed in this project makes the programme area Südost Gelsenkirchen accessible. This project demystifies the construct of "the other"; it enables viewers and participants to experience comprehensible shifts in their views. The concepts of the National, of fear, exclusion and control are not recommendable paths. Through participatory and situationist interventions we would like to influence developments, as well as document sociospatial changes in a manifold way and bring them back into the urban space. We thereby aim at preventing the emergence of situations as in Manchester or many American towns.